Xiaomi to launch its first laptop, Redmi Note 4 on July 27? Xiaomi’s first laptop is rumoured to be powered by Intel processors and may look like the Apple MacBook. Xiaomi will be hosting a launch event on July 27 in Beijing, China. 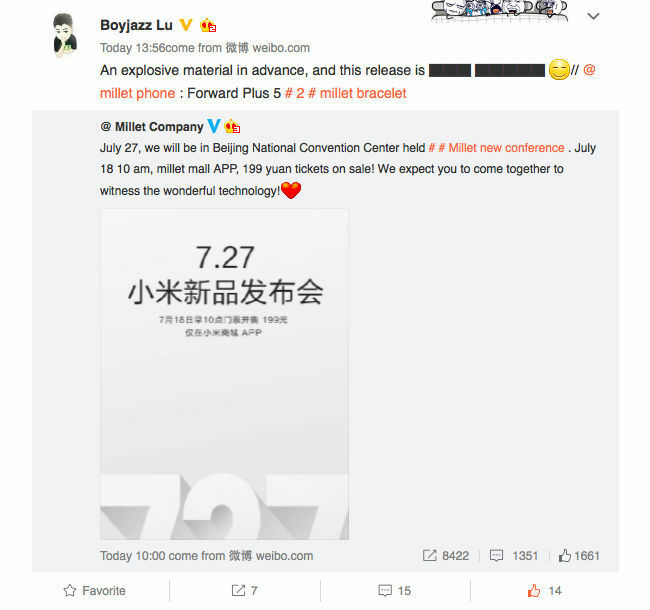 While the invite does not reveal any clue about the product(s), Xiaomi’s director of new media revealed via his Weibo account that the company might be announcing two new devices at the event. While he did not reveal any names, the post features two redacted names which suggest that two devices will be announced. 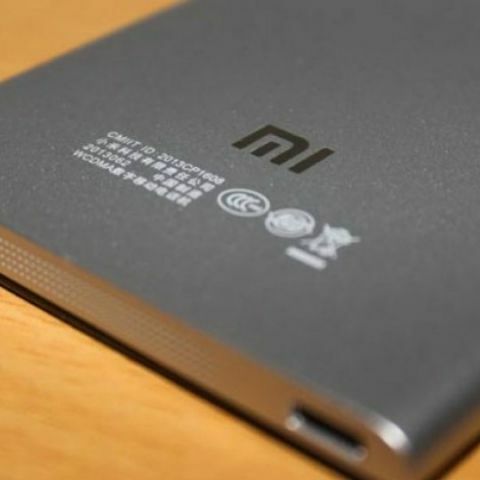 Rumours suggest that Xiaomi will be announcing the Redmi Note 4 and a new laptop, on July 27. The upcoming laptop from the company will probably be called Mi Laptop, and is rumoured to be in the works since the start of 2016. Previous rumours suggested that the laptop will be powered by Intel Core i7-4500u processors, and will be paired with 16GB of RAM. The device is also suggested to have a 15.6-inch display and may be priced at RMB 2,999 (Rs. 31,000 approximately). Rumours also suggest that the device may resemble an Apple laptop. Xiaomi may also use a Linux Distro instead of Windows, to keep the costs down. That said, other rumours suggest that Xiaomi may launch a 12-inch or 13.3-inch laptop, powered by an Intel Atom processor. Recently, leaked images of an alleged Redmi Note 4 were leaked, suggesting a dual-camera setup. The leaked images showcased an all-metal back, along with dual-rear cameras. It remains to be seen if the upcoming smartphone will be as good as the Redmi Note 3.